Carrying inside the waistband is preferable for some people. 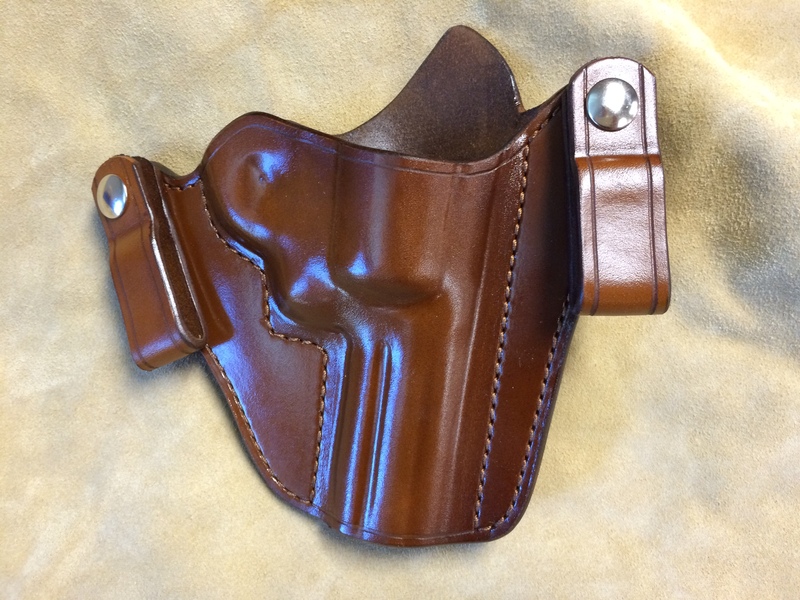 This style conceals most of the holster inside the waistband, permitting more choices in outer garments. Ray's IWB design grew out of the Pancake style. 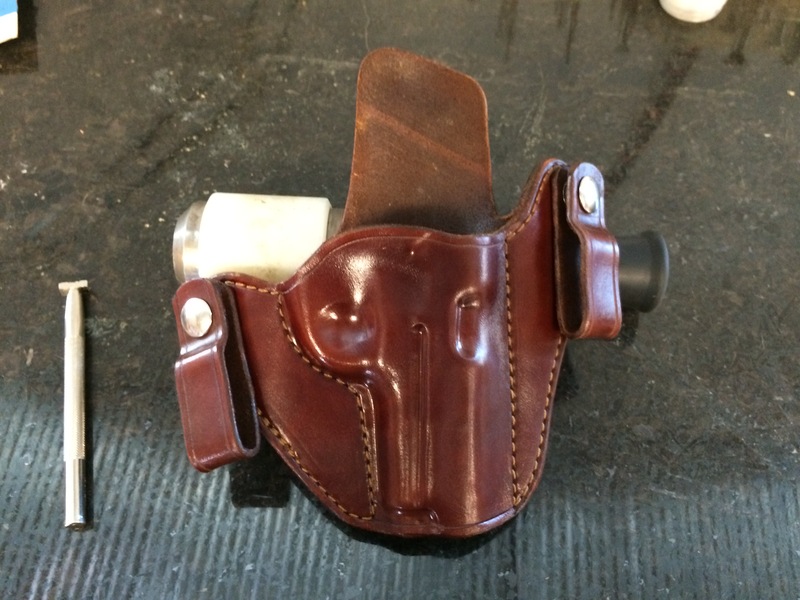 By utilizing snap-loops before and after the holster is firmly anchored, maintaining a constant position. Also, with the belt attachments offset there is reduced bulk over the holstered handgun. Belt attachment loops are interchangeable. Additional loop sets may be ordered as required. Intended carry position (standard cant) is just behind the strong-side hip, about 4:00 position. 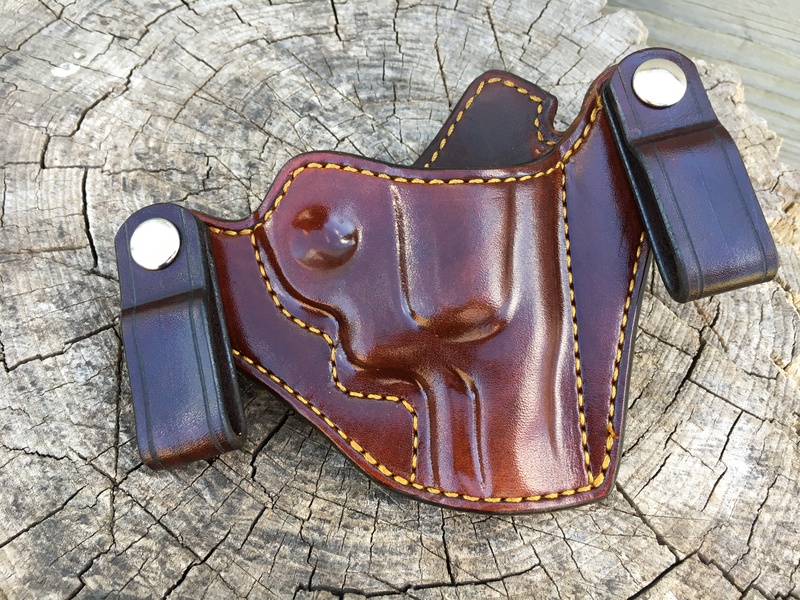 PLEASE NOTE: While many users prefer the IWB style, and use this type of holster without problems, some people simply cannot tolerate the bulk of a holstered handgun inside the waistband for extended periods. Also, many users report that trousers and belts used need to be about 2" larger than normally worn when using the IWB style holsters. Additional belt loop sets, 1.25", 1.5", 1.75", etc., add $6.00 each or $15.00 per set. Thumb-break retention is not offered on IWB-style holsters. **** IF you want to carry extra ammo, don't forget the mag/speedloader pouches!! !